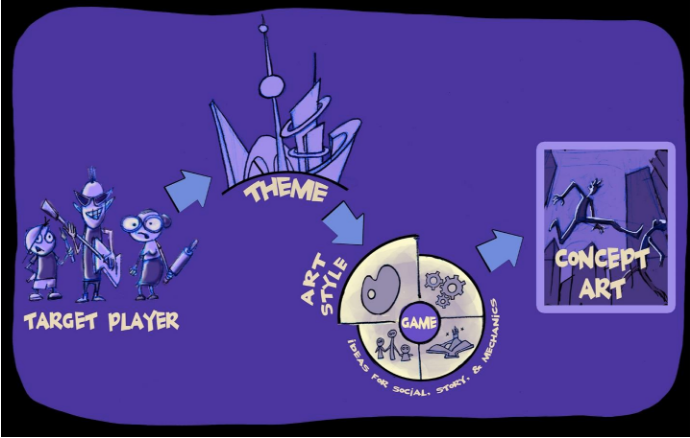 A good piece of concept art can be used as a prototype to test one of the essential elements that your game will need to succeed: You’ll need to connect emotionally to your player. Spending on concept art is sometimes viewed as a luxury or even a distraction, but if done correctly, concept art will save you money and put you in the right direction towards developing a successful experience. In this article, I’ll dive into the significance of art, and four steps to develop effective concepts. In a previous article I talked about the 4-step sequence that successful games follow: stand out, connect, engage, and grow. In this article, I am going to talk about how, by doing concept development the right way, you can figure out and validate early on if your game concept has the potential to stand out and connect with your target players. The right concept art will reflect all the good qualities of your game: the emotions it creates, its core story, and its theme. Even if the core mechanics or story details are not represented in your concept art, the emotions resulting from them will be present. This is why the development of concept art can be a great tool to test if players connect with the basic theme and emotions of your game. 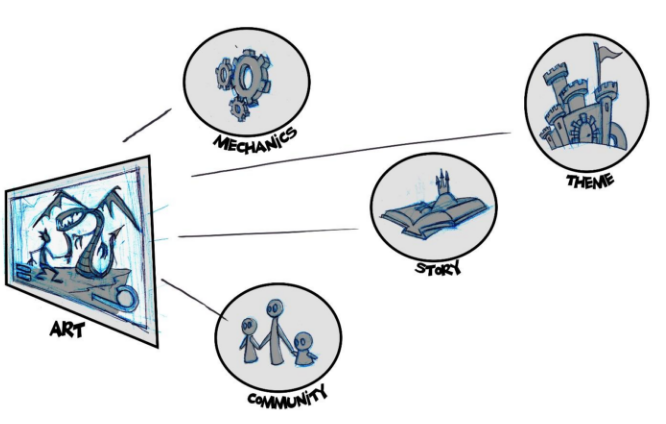 Developing concept art can be a faster and cheaper way to test and validate one of the foundations of a successful game: emotional connection. The first step is defining who is your target player, what are your goals, and what is your point of view (or the reason you care about making this game). Once you have defined your theme, pick an art style that also resonates with your audience, and brainstorm some ideas about possible mechanics, stories, and social interactions. I am not arguing for being a copycat regarding the art style. It is about narrowing down possibilities and starting from solid concrete examples pointing in the right direction. Once you have those, you can innovate within clear parameters. As with theme, the only way to know if your art style will resonate with your audience is by showing them pictures of similar art styles. 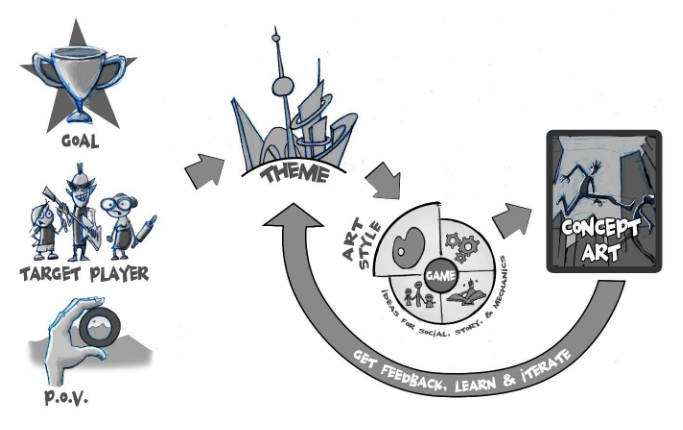 If you follow these four simple steps, you will end up with a concrete piece of concept art that connects with your audience and can help you as a guide or compass throughout development. You will not have a game yet, but you will have a good foundation to build one and something concrete that can guide your decisions for the rest of the development process. Ready to learn more about game design? Find more info about New York Film Academy Game Design including student work here.